When it comes to coffee it's a drink a lot of us have on a daily basis. However when it comes to buying from places such as Costa prices mean it's better to save some pennies and make your own coffee at home. For me my favorite coffee is a latte and I love curling up on the sofa with a good book and a mug of steaming hot coffee. So whatever your preference when it comes to coffee why not check out these fab coffee machines. 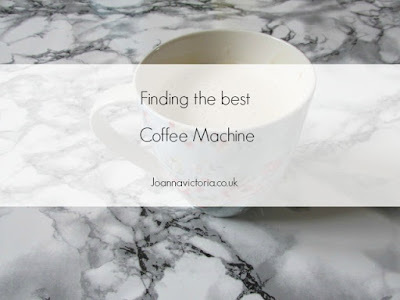 There are so many fab coffee machines out there, to give you the best coffee for what you like. If your coffee addict like me a good coffee machine is an essential addition to your kitchen. There are so many for examples ones that use real coffee beans to ones with pods and capsules. So one of the best things to do is do your research before you buy.